Being bound to the chains of reality is one thing, but being bound with our Classic Wrist Cuffs is t.. The Luxury Square Cuffs form the second generation square collection by Masters Desire. Created by o..
Those who want more than simple obedience will find these elegant cuffs indispensable. Bui.. These simple square cuffs will quickly become the cornerstone of your collection. The eleg..
Wrist Restraints by Masters Desire are designed and manufactured in England. Our wrist restraints are made from fine grain leather from England and soft calf leather from France. 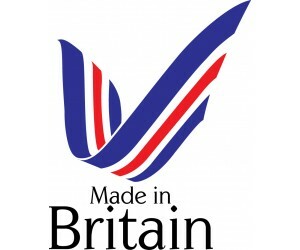 All our attachments are crafted in England by hand for outstanding distinction. Our wrist cuffs can be combined with many of our accessories to create neck and wrist restraints and collar to wrist restraints amongst others. With our wrist restraints, you really can let your imagination run wild. All of our craftsmen are internationally recognised as the best leather artisans in the world. We stock a variety of wrist restraints including our Classic Collection which are designed around the natural contours of the body for ergonomic comfort whilst our wrist cuffs in the Limited Edition collection offer more audacious and individual designs.